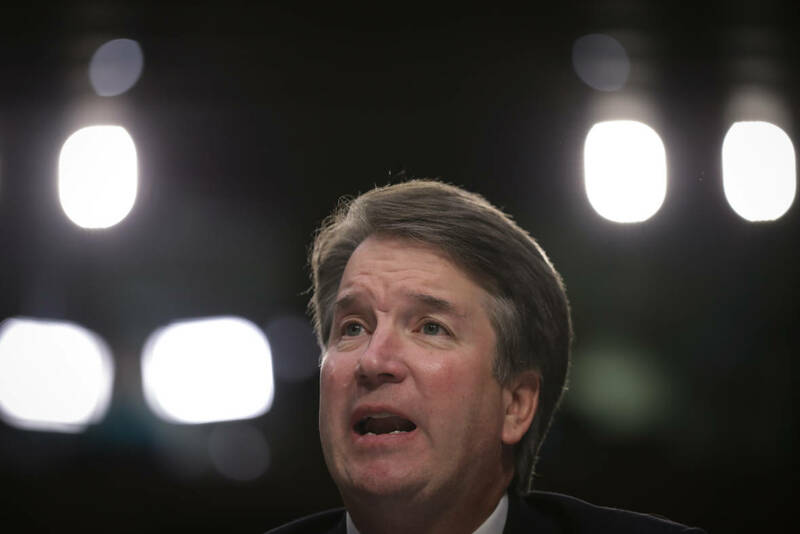 Supreme Court nominee Brett Kavanaugh and the woman accusing him of sexual assault more than three decades ago, Christine Blasey Ford, will both testify publicly before the Senate Judiciary Committee on Monday, Sept. 24. The committee was supposed to vote on the nomination this Thursday, but faced pressure after Ford went public with her allegation over the weekend. Ford and Kavanaugh had both agreed to testify under oath before the committee. "Judge Kavanaugh looks forward to a hearing where he can clear his name of this false allegation. He stands ready to testify tomorrow if the Senate is ready to hear him," White House spokesman Raj Shah said in a statement on Monday. "Her recollection of these events is crystal clear," Ford's attorney Lisa Banks told Morning Edition. "She will agree to participate in any proceedings that she's asked to participate in." Kavanaugh was scheduled to speak by phone with Republican staff on the Senate Judiciary Committee late Monday. Democrats on the panel refused to participate, arguing that the FBI should investigate the allegations stemming from an incident Ford says happened at a party in the early 1980s when they were both students in high school. The assault accusation, made privately in July, took on new weight over the weekend when Ford went on the record with The Washington Post. She described a high school party in the early 1980s at which a drunken Kavanaugh pinned her to a bed, attempted to pull off her clothes, and covered her mouth as she tried to scream. She said she escaped after Kavanaugh's friend, Mark Judge, jumped on them. Kavanaugh, who was at the White House on Monday, continues to vehemently denied Ford's account. "This is a completely false allegation," he said in a statement issued through the White House on Monday morning. "I have never done anything like what the accuser describes — to her or to anyone." Kavanaugh had issued a similar statement on Friday, before the identity of his accuser was made public. President Trump defended his nominee, noting that Kavanaugh had been vetted by the FBI on half a dozen occasions. "Judge Kavanaugh is one of the finest people that I've ever known" Trump told reporters at the White House Monday. "Never had even a little blemish on his record." Trump expressed regret that the allegation against Kavanaugh had surfaced so late in the process, but said he wants the Senate to satisfy any lingering questions. "If it takes a little delay, it will take a little delay. It shouldn't certainly be very much," Trump said. "I'd like everybody to be very happy. Most importantly I want the American people to be happy, because they're getting somebody that is great." While the president stood behind his nominee, White House counselor Kellyanne Conway also took pains to display concern for Kavanaugh's accuser. "This woman should not be insulted and she should not be ignored," Conway told Fox News. "This woman will be heard." Senate Judiciary committee Chairman Chuck Grassley, R-Iowa, said Monday that Ford "deserves to be heard," but complained that Democrats failed to share information about the allegations when Ford sent a letter to the committee's top Democrat, Sen. Dianne Feinstein of California, in July. It's unclear whether phone interviews would be sufficient to address questions of some of Grassley's GOP colleagues. Sen. Susan Collins, R-Maine, tweeted Monday that Kavanaugh and Ford "should both testify under oath before the Judiciary Committee." As one of only a handful of GOP women in the Senate and a key undecided vote on Kavanaugh's nomination, Collins' views may carry outsized weight with Grassley. Sen. Jeff Flake, R-Ariz., who sits on the judiciary committee, joined Democrats in saying the vote on Kavanaugh's nomination may have to be postponed. "I've made it clear that I'm not comfortable moving ahead with the vote on Thursday if we have not heard her side of the story or explored this further," Flake told The Washington Post. "For me, we can't vote until we hear more." Earlier on Monday Feinstein pressed for a hearing before any committee action on the nomination. "I agree with Sen. Flake that we should delay this week's vote," Feinstein said. "There's a lot of information we don't know and the FBI should have the time it needs to investigate this new material." "If Ms. Ford wishes to provide information to the committee, I would gladly listen to what she has to say and compare that against all other information we have received about Judge Kavanaugh," Graham said in a statement. "If the committee is to hear from Ms. Ford, it should be done immediately so the process can continue as scheduled." Sen. Lisa Murkowski, R-Alaska, who is not on the committee but is a key undecided vote on Kavanaugh's nomination, told CNN a delay may be necessary. "If there is real substance to this, it demands a response," Murkowski said. Republicans, who hold a narrow majority on the committee and in the Senate, are eager to confirm Kavanaugh in time for him to join the high court when it begins its fall term in two weeks. But faced with a growing Me Too movement, they are also sensitive about appearances. 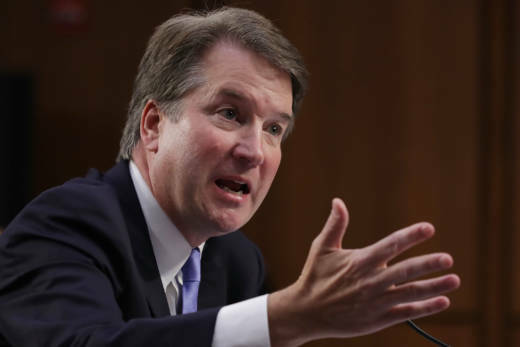 "To railroad a vote now would be an insult to the women of America and the integrity of the Supreme Court," said Senate Minority Leader Chuck Schumer, D-N.Y.
Senate Majority Leader Mitch McConnell, R-Ky., and other GOP leaders complained that the allegation was made public just days before the committee was set to vote on Kavanaugh's confirmation. "Unfortunately, committee Republicans have only known this person's identity from news reports for less than 24 hours and known about her allegations for less than a week," Grassley said. "Senator Feinstein, on the other hand, has had this information for many weeks and deprived her colleagues of the information necessary to do their jobs." "Victims of sexual assault have the right to decide whether and when to come forward," Banks said about her client. "It was something that she struggled with mightily. She was weighing her desire and her belief that she had a civic duty to provide this information to those making the decision about Brett Kavanaugh with, frankly, her fear about coming forward, and there was going to be great personal risk to her and her family in doing so." Ford decided to go public after reporters began contacting her last week. Her attorney said Ford is "not motivated at all by politics."